Measures 1 1/2" in diameter and are fun for all kinds of party purposes. Use them to decorate for a golf theme party or for favors for the littlest of golfers, too. 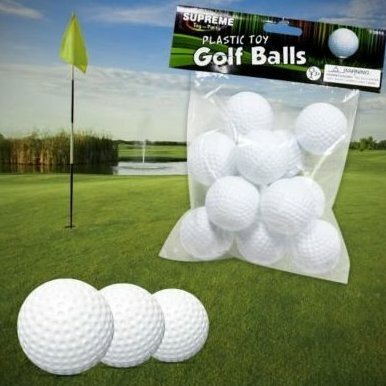 Our plastic Toy Golf Balls are priced and packed by the dozen balls.